I wish I could take credit for this photo, but it's not mine! 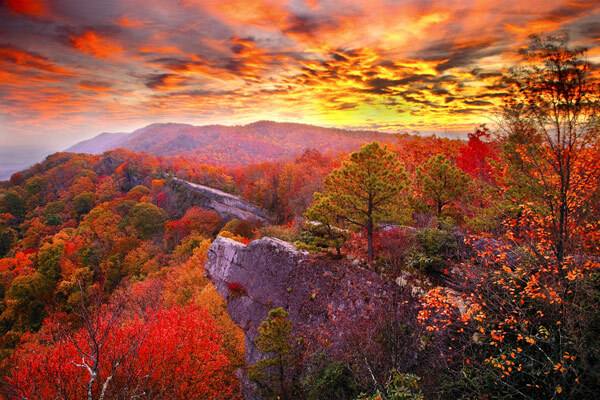 It's the work of Brett Bentley, entitled "Sunrise at High Rock," it was sent to me by Jay Shepherd with the Pike County (KY) Tourism Bureau. This is the first eastern Kentucky destination listed here on Appy Treks! The area described below is just over the KY/VA border near the Breaks Interstate Park and Grundy, VA. Looks like a great place to explore! The Pine Mountain Trail is in the process of being linked to the Great Eastern Trail, an ongoing attempt to create a second long hiking route through the Appalachians west of the Appalachian Trail with the goal of ultimately stretching from Alabama to New York. Once completed, the Pine Mountain State Scenic Trail will span approximately 120 miles from Breaks Inter­state Park to Cumberland Gap National Historic Park. The trail will be a means for showcasing the wild highlands and conserving the natural and cultural heritage of Appala­chia for future generations. The Pine Mountain Trail offers a breathtaking scenic views with a primitive back country experience. Currently a contiguous trail from Breaks Interstate Park to US 119 is designated in two sections. The section from Breaks to US 23 is the Birch Knob section and totals 28 miles. In Pike County, Kentucky, the Birch Knob trail head is located in Elkhorn City at the end of Carson Island Road in front of Elkhorn City Hall. The Highlands Section totals 16 miles and is along the US 23 - US 119 area. Kiosks are available at most trail-head locations, and two shelters are located along the Highlands Section for backpackers to have a dry place to have lunch and rest. 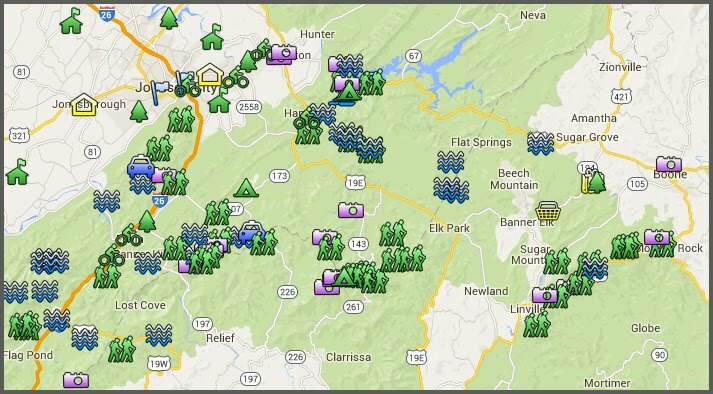 Learn more about Pine Mountain Trail at the Pike County Tourism website. Click here for a map showing directions to Elkhorn from Johnson City, TN. That is AWESOME! It could be one of yours, Mark, you are a fabulous photographer!